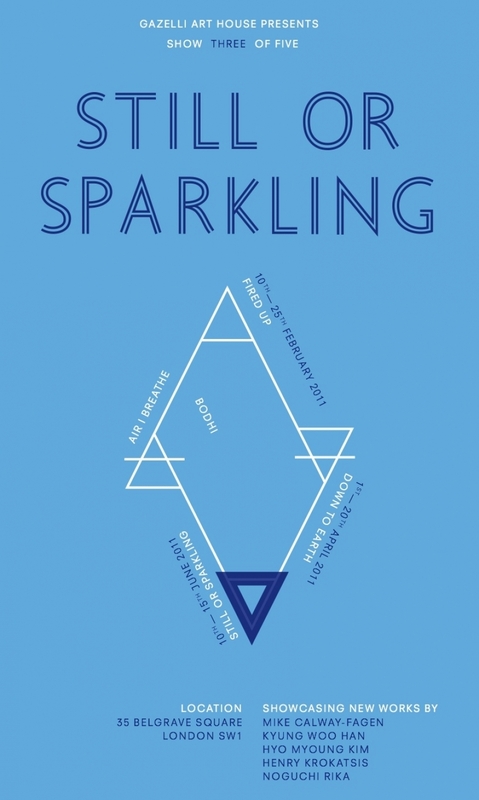 Still or Sparkling explores the notion of intellectual, emotional and spiritual reflection. By drawing on the ethereal properties of water and illustrating its varying characteristics, a deeper understanding of one’s individual perception and response to the exhibited artworks is sought. The delicate nature of the element and its purifying characteristics resonate in both the romantic photography works by Noguchi Rika and the ephemeral sculptural pieces by Henry Krokatsis. Water’s playfulness is found in the installation work by Kyung Woo Han, and its rhythmic quality is explored in Hyo Myoung Kim’s digitally altered images. Sculptures by Mike Calway-Fagen, require attention to detail in order to link the used materials to his conceptual discipline – suggesting water’s ability to splash a wave of sharp awakening, both physical and mental. I hope the exhibition will be both insightful and inspiring for you to build on the emotional discoveries made from Fired Up and Down To Earth.